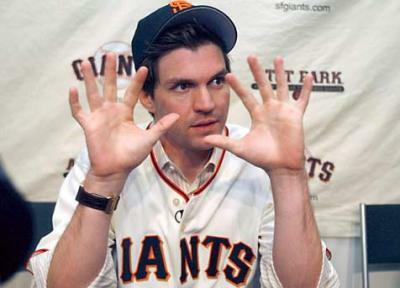 Barry William Zito was born on May 13, 1978 in Las Vegas Nevada. His father was a musical arranger for Nat King Cole & his mother was a singer in Cole’s band known as "The Merry Young Souls". Barry was named after his uncle who practiced Zen & disappeared into the Big Sur Mountains of California back in 1964. 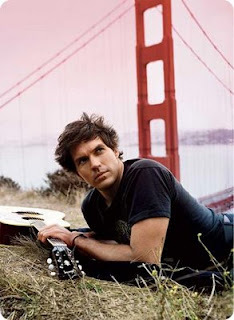 Barry Zito is a surfer & guitar player. On the road the free spirited Zito, collects stuffed animals & is known to light incense to relax himself. The six foot two inch, left handrer went to a Catholic high school at San Diego becoming a star pitcher. He attended the University of California at Santa Barbara, earning All American Freshman honors, striking out 105 batters in 85 innings pitched. He soon transferred to Pierce College so he would be eligible for the draft a year earlier, but decided to stay in school anyway for that time earning All State honors. He then transferred to USC becoming the Pac ten Pitcher of the Year going 12–3 with a 3.28 ERA, and 154 strikeouts in 113⅔ innings. Zito was originally drafted by both Texas & Seattle way down in the later rounds in 1998 but chose not to sign. By 1999 he was one of the country’s top prospects getting chosen by the Oakland A’s in the first round, the ninth pick overall. In just a few months climbing through the ranks of the minors he was 6-1 getting promoted to the A’s staff in July. He debuted at the Oakland Coliseum beating the Anaheim Angels allowing just one run over five innings on July 22nd, 2000. He was 3-4 entering the final month of the season, & he went on a roll as the rest of the A’s team did. 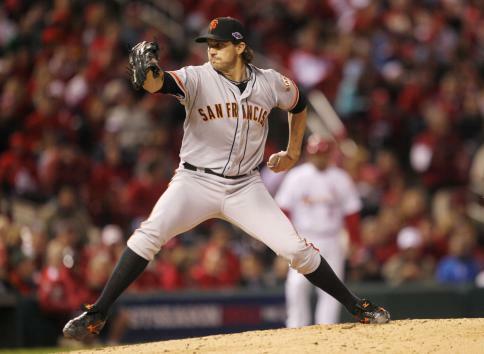 Zito was 5-1 in September allowing just eight runs in 42 innings pitched. Oakland went 22-7 in September finishing in first place, with it’s great pitching staff consisting of the famously named “Big Three”; Zito, Mark Mulder & Tim Hudson. 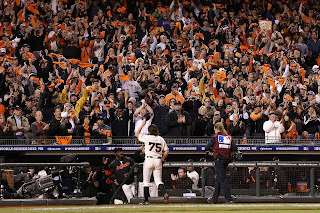 Post Season: In Game #4 of the ALDS with his teams back up against the wall trailing two games to one, Zito came out & shut down the A.L. New York club to just one run in 5.2 innings pitched as the A’s won 11-1 sending the Series to a Game Five. In 2001 Zito found himself at 8-8 on August 15th. But from that point on he would not lose another game. He would win his last nine decisions finishing the year at 17-8 leading the league in starts (35), He would strike out 205 batters (4th in the AL) pitching in 214 innings with a 3.89 ERA (8th in the league). In that year’s ALDS he took a loss even though he pitched eight innings allowing just one run. In 2002 he returned to have his best season, beating out Pedro Martinez for the Cy Young Award. Zito led the league in wins going 23-5 & starts (35) with a .821 winning % (second in the AL) a 2.75 ERA & 182 strike outs (both third in the AL) pitching in 229 innings. Post Season: In the ALDS he earned the win in Game #3 against the Minnesota Twins pitching into the 7th inning. Zito was still effective but did not pitchat the same level of success as he did in his first three seasons. In 2003 he was 14-12 with a 3.30 ERA (7th in the AL) pitching in 231 innings with 146 strike outs. He would fall to a 11-11 record in 2004 & a 14-13 record the next year. In 2006 his final year of his contract he once again led the league in starts (35) going 16-10 (8th in the league in wins) with 151 strikeouts a 3.83 ERA (10th in the league) pitching 221 innings. Mets Rumors:That summer he was rumored to be coming to the New York Mets in a deal for Lastings Millidge, what a steal that would have been no matter how much Zito would struggle in the future. If the Mets had him in the post season, there may have been a very different ending to the ’06 season. 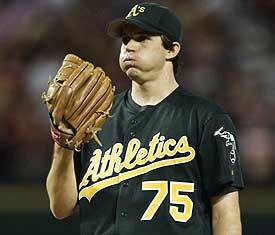 Instead the A’s GM Billy Beane decided to hold on to Zito for the rest of the year. 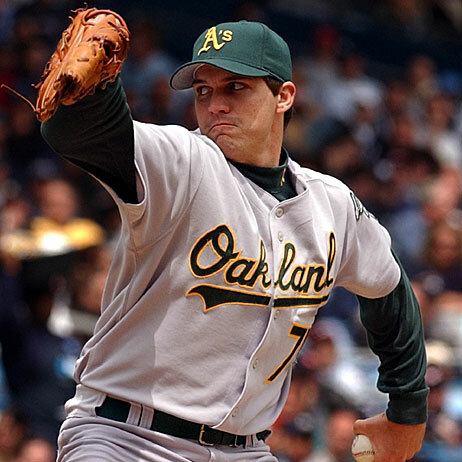 In his six years in Oakland, He threw 200 or more innings each year, never missed a scheduled start and led the AL in starts four times & made three All Star teams. In the off season he hired Scott Boras as his agent & became the most sought after free agent of the winter. He ended up going across the Bay signing a huge contract of $126 million with the San Francisco Giants, becoming the highest paid pitched in baseball history. 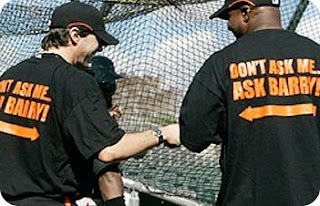 He got along well with slugger Barry Bonds, & the two donned T-shirts that read “Don’t ask me, ask Barry” with an arrow pointing to the other Barry. On the mound he lost his first two games as a Giant, and returned to Oaklnad in an inter league game on May 18th. He allowed seven runs over four innings as the A’s beat their cross Bay rivals 15-4. He came to New York arriving at Shea Stadium to the team he never signed with & beat the Mets 3-0 pitching in seven innings, besting his record to 5-5. In June the A’s beat him again in San Francisco, and Zito struggled the ret of the year. He won his last two starts but still fell short of a winning record, going 11-13 with a 4.53 ERA. The next year was worse, as he led the NL in losses going 10-17 with a 5.15 ERA. He had low run support in 2009 and fell to another losing season going 10-13. In 2010 he pitched in 34 games starting out the year at 5-0 with a 1.49 ERA through the first month of the season. He was 7-2 in early June but then everything fell apart. He would only win two more games on the season, losing 12 games finishing up at 9-14 getting left off the post season roster, as the Giants went on to win the World Series. In 2011 he began the year at 0-1 then went on the DL for two months. He returned on June 28th & beat the Cubs in Chicago pitching seven innings allowing two runs earning the victory. 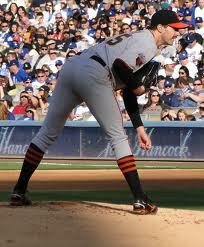 Zito won three straight including an eight inning one run performance at home beating the San Diego Padres. He lost his next three starts and then went down again until mid September. He ended up 3-4 with a 5.87 ERA in 13 games. In 2012 he won his first start of the year, a four hit complete game shut out at Colorado against the Rockies. He went 5-2 into June when he pitched another four hit shut out, leaving in the 9th inning in a 2-0 win at Wrigley Field. From August 7th on, Zito was outstanding, helping the Giants capture another Western title. He went 7-0 in that time, including a 5-0 September. 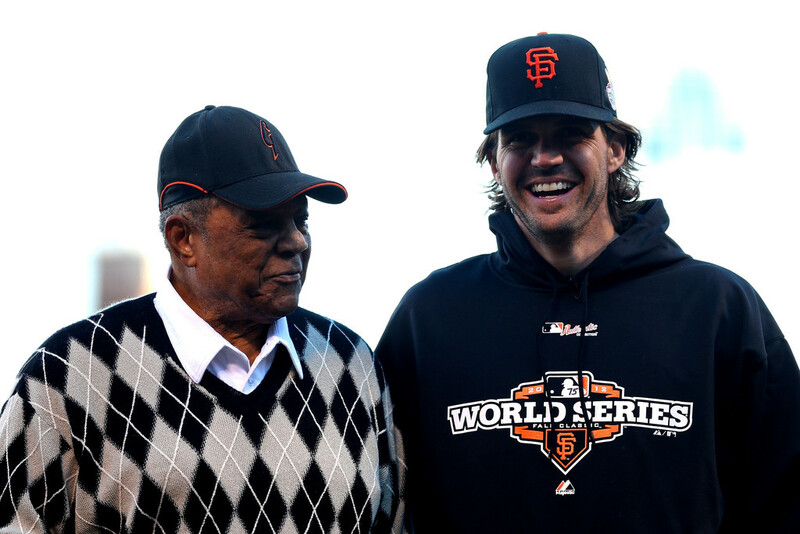 He finished the year at 15-8, second on his staff to Matt Cain & Madison Bumgarner, who both won 16 games. Zito struck out 114 batters walking 70 & posted a 4.15 ERA. Post Season: In the NLDS he was roughed up by the Cincinnati Reds, allowing two runs by the 3rd inning & getting removed. The Giants went on to win the game & tie the series. In the NLCS Game #5, he shut out the St. Louis Cardinals into the 8th inning, striking out six batters, allowing just six hits. He earned the win, besting his post season record to 5-3. 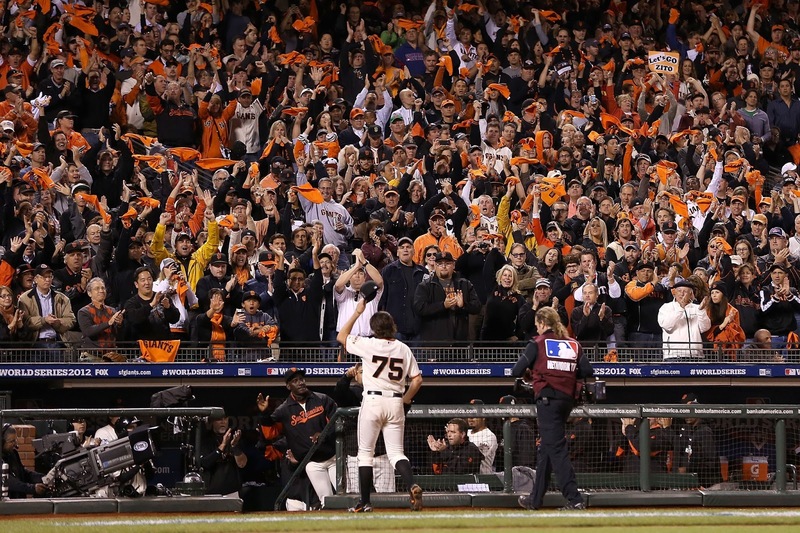 In the 2012 World Series sweep against the Detroit Tigers, he got to start the opener in San Francisco. Zito put in another great performance, allowing just one run on six hits, pitching into the 6th inning while earning the win. In his career he played in six post seasons, posting a 6-3 record with a 2.83 ERA, winnig one World Series. He was back in the Giants rotation in 2013 but a 5-11 season led to it being his final season. In his 14 year career he was 165-143 with a 4.02 ERA. He struck out 1883 batters walked 1058 in 2569 innings pitched. Zito pitched 430 games (419 starts) with 12 complete games & five shut outs. 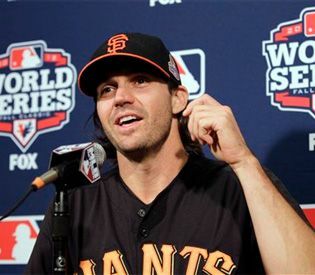 Personal: Zito created the charity Strikeouts for Troops, to which he donates $400 for every strikeout he throws. The charity benefits hospitals for soldiers wounded in military operations. Zito has been linked romanticly with Ayssa Milano in the past. In December 2011, Zito married the former Miss Missouri, Amber Seyer. He had practiced Zen just like his uncle & was raised in a spiritual metaphysical type church that his grand mother had founded & his mother preached at until her death in 2008. Then in 2011 he became a Christian & said "he was comitted to the Lord Jesus Christ". He said being left off the Giants 2010 post season roster & a freak foot injury got him to recognize God. He now has a tattoo of a golden calf on his right arm reminding him not to worship false idols.